EDINBURG – Sophomore Coleman Grubbs hit his first career home run with two outs in the eighth inning to break a tie and send the UTRGV baseball team to a 6-5 victory over CSU Bakersfield on Sunday at UTRGV Baseball Stadium. Grubbs hit his home run on the first pitch he saw against Naithen Dewsnap (1-2). Grubbs finished 3 for 5 with two RBIs and two runs scored. That made a winner of freshman Max Balderrama Jr. (1-0), who pitched 1 1/3 innings of scoreless relief. Junior and McAllen Rowe alum Ryan Jackson pitched a scoreless ninth for his fifth save. UTRGV (15-10, 2-1 WAC) hit a program record-tying four triples over the first four innings, marking the first time UTRGV has hit four triples in a game since March 26, 2006, and just the third time in program history. Sophomore Elijah Alexander hit the first triple to bring home Grubbs and put UTRGV up 1-0 in the first. In the third, with the game tied at 2 and a runner at third, senior Austin Siener and sophomore Tyler Torres hit back-to-back triples as UTRGV took a 4-2 lead. Junior Conrad McMahon added a two-out triple in the fourth. UTRGV also scored in the second, when senior Ivan Estrella launched his third home run of the season over the center-field wall, and in the sixth, when Grubbs hit an RBI single. CSU Bakersfield (10-15, 1-2 WAC) scored a run in the second on an RBI single by Jake Ortega, in the third on a groundout by Austyn Tengan, in the fifth on an RBI single by Daniel Carrizosa, and in the seventh on an RBI double by Mark Pena and an RBI single by pinch-hitter Alec Daily. 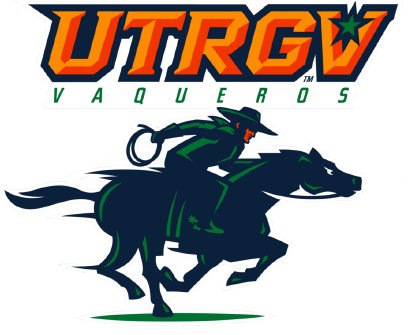 After playing 20 of its first 25 games at home, UTRGV kicks off a season-long eight-game road trip with the first of three at Utah Valley at 7 p.m. Thursday.